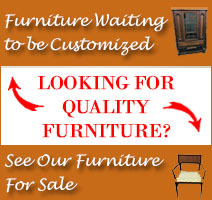 Furniture Medic by MasterCare Experts provides free quotes for each of our furniture restoration and repair services. If you would like a quote for the repair or restoration of your furniture, you can get one by submitting a picture of your project. Just fill out the information below and use the Add Images option to attach up to three images of your damaged piece of furniture. We will respond to you as soon as possible with a quote based on the images you provide.